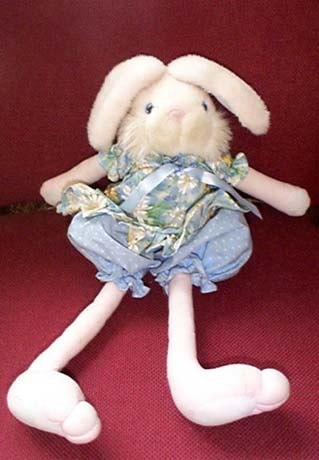 Okay, back to train stuff. 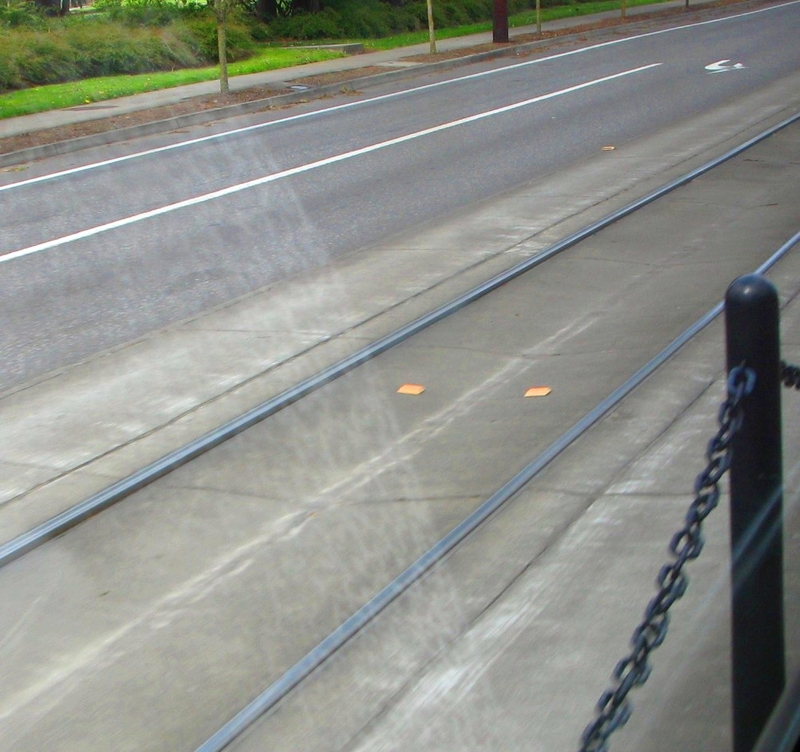 Here’s a neat safety feature built into the alignment on Burnside (Blue Line) and Interstate (Yellow Line) – the decision point marker. 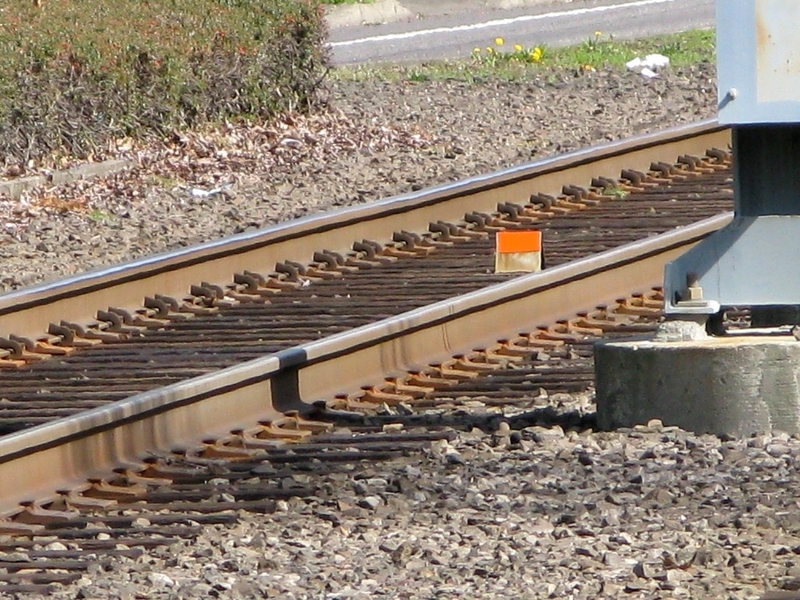 Decision Point Marker on Interstate – since the rail is embedded in pavement here they look a little different, but the function is the same. 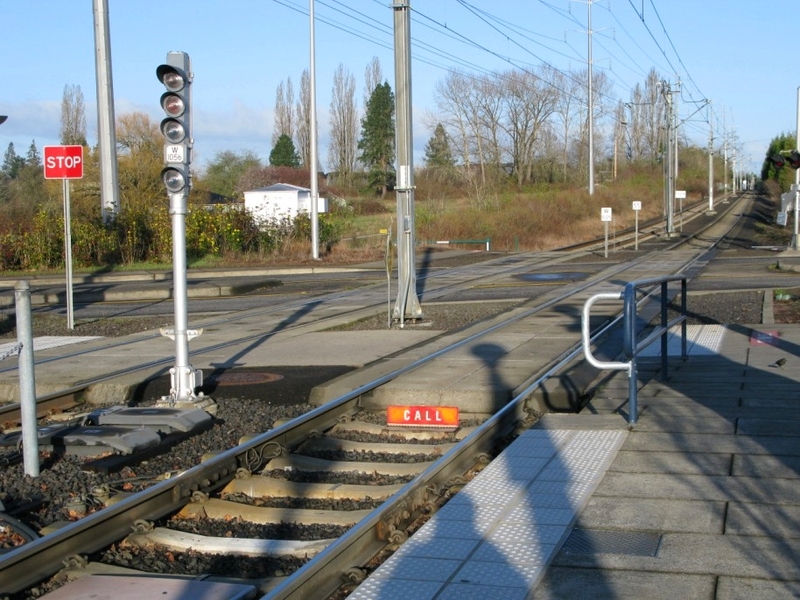 As you may recall, both Burnside and Interstate are in pre-empt territory, meaning intersections with auto traffic are protected by pre-empt signals, not crossing gates. 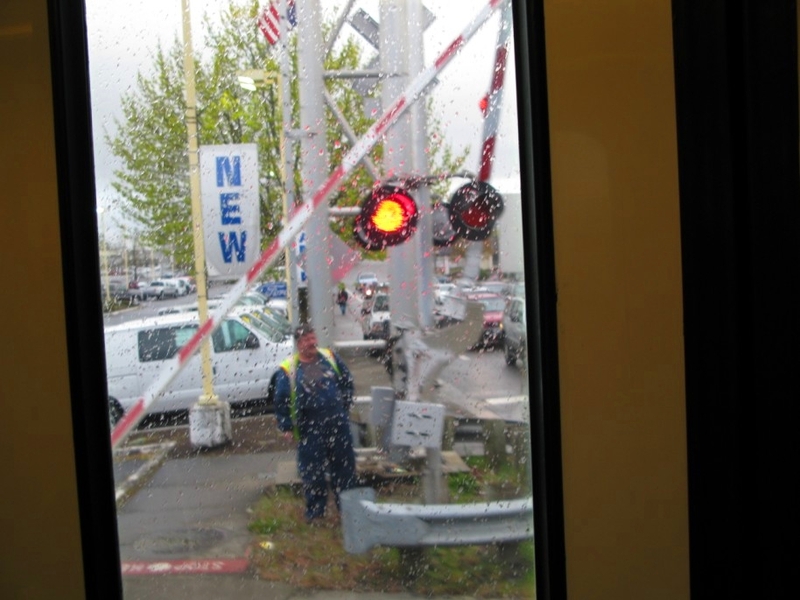 A rail operator traveling down Burnside or Interstate cannot enter a pre-empted intersection unless their signal is displaying that white vertical. 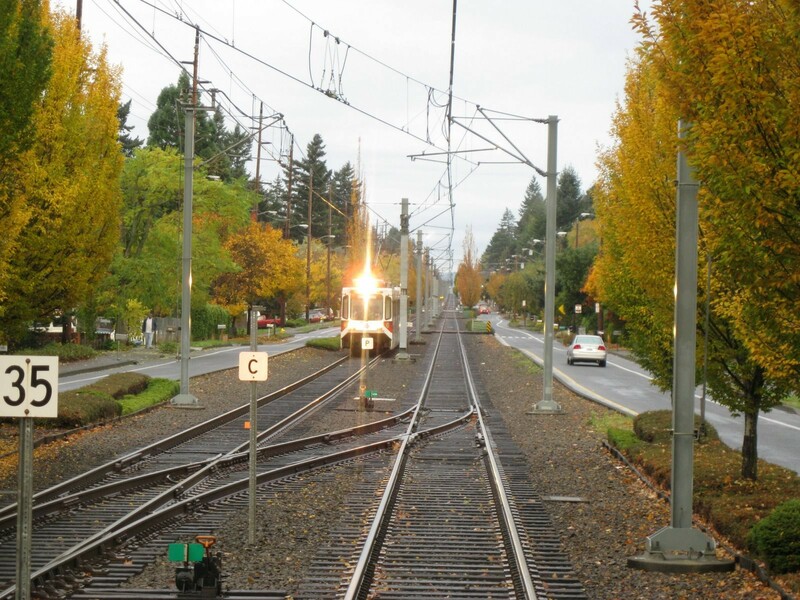 But unlike the pre-empted intersections downtown where the speed limit is 15mph or below (a relatively slow speed to stop from if a white vertical is not yet displayed), the speed limits on Burnside (35mph) and Interstate (30mph) are much higher, and not as easy to stop a train from. The intersections are also farther apart on Burnside and Interstate than they are in other pre-empted areas such as Holladay and Washington – both of which still run slower than Interstate and Burnside. 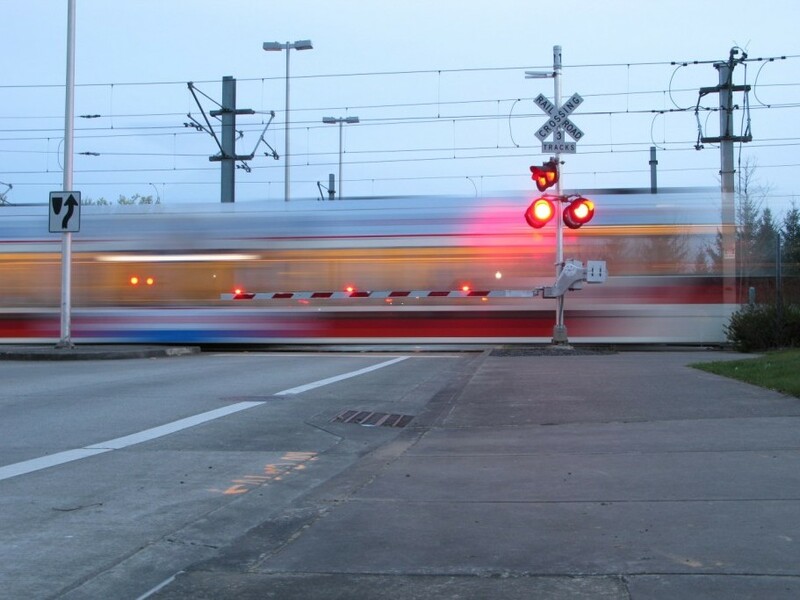 So, someone did the math to figure out if a train is going 30 (or 35) miles per hour, and then applies the strongest braking mode permissible to use in normal service (called the Maximum Service Brake, or MSB), how many feet does the train take to stop? 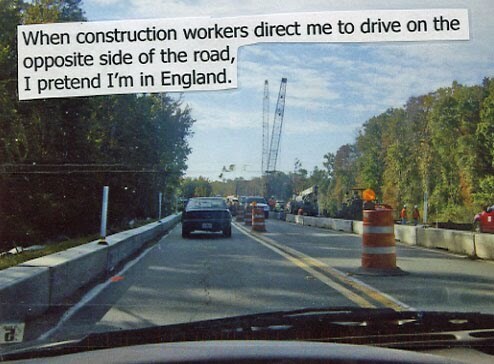 It’s about 400 feet at 35 mph under ideal conditions. 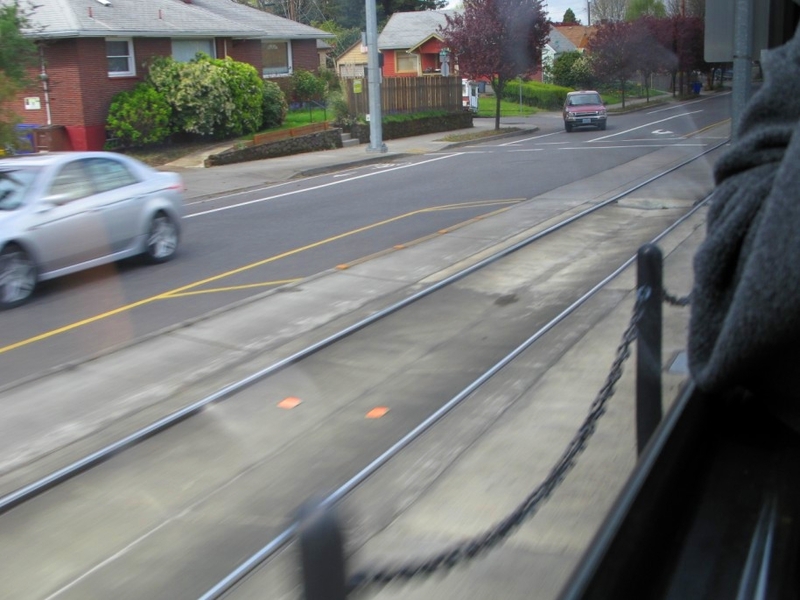 The decision point markers were then placed between the rails that many feet prior to each pre-empted intersection – orange tents on Burnside; orange reflectors on Interstate. 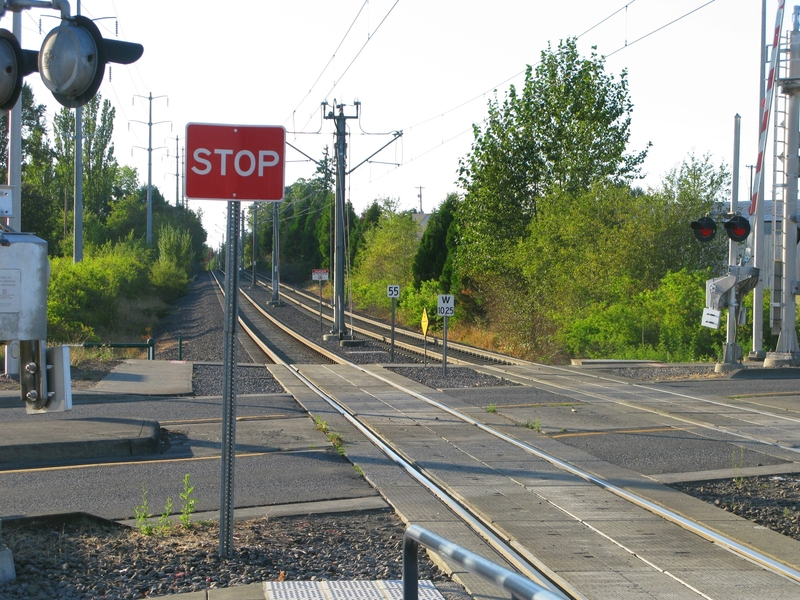 If an operator reaches the decision point marker and their pre-empt signal is still displaying a yellow horizontal (which indicates stop and does not permit them to enter the intersection), they must immediately apply the MSB braking in order to smoothly and safely stop the train before entering the intersection. 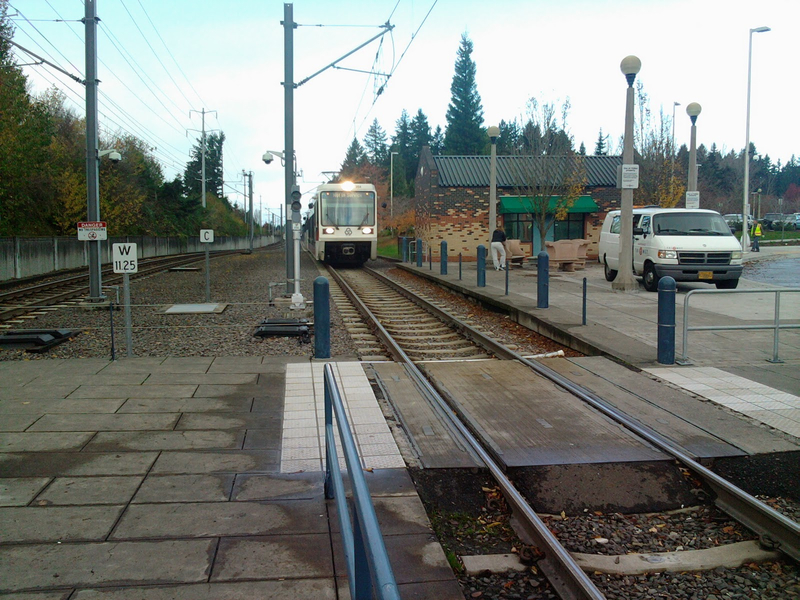 One of many safety features built in that commuters never need to think about, but it’s a very good thing that they’re there – they take the guesswork out of how to best stop the train if the white vertical does not come up.